The Heroes had just settled in for our traditional morning coffee and light breakfast. We sat cross-legged at the table gingerly sipping from steaming cups. The dulcet tones of motorcycles and Britishisms emanated from the nearby computer. The riders still had more than sixty kilometers to the finish, plenty of time to relax before Stage 18 really started to shape up. Then the Luxembourger went off. None followed. Spilled coffee. 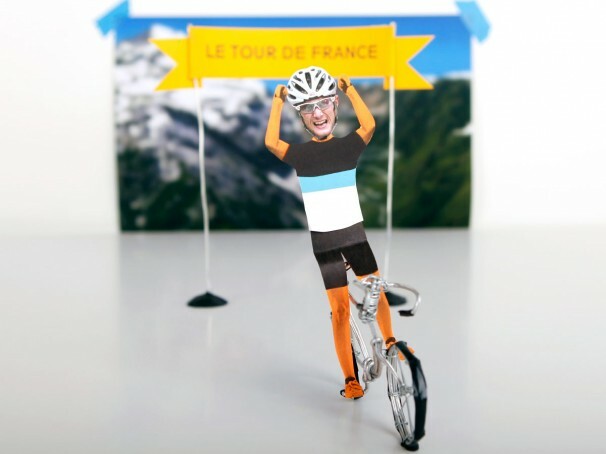 Shouts from all sides at the screen as Jen Hero’s favorite brother suddenly attacked the Col d’Izoard. An attack so audacious it had Eddy himself leaning out of a car shouting encouragement. The entire Hero HQ staff was glued to the screen for the next two hours. The French newspaper men will have epic novels to write about Tommy Voeckler’s hanging on and having a totally for really real chance of winning the Tour de France. Bert indeed cracked, a defeat so thorough some around hero HQ have started to feel a bit sorry for the Spainiard, with everyone gleefully pilling-on and all — though maybe a more relaxed pace will help with some of his nagging medical issues.